South Africa is a country with diverse cultures which is made up of different people from different walks of life. During the month of September, which is considered to be the heritage month, the country is painted with different colours as people take to the streets and other public places to showcase and celebrate their cultures. Celebrating heritage nowadays is not an easy thing as people seem to be confused about their culture or rather have forgotten their roots. People’s cultures are at siege as the new phenomenon “global culture” seem to be the ideal culture which appears to be uniting people from around the world. The celebration of heritage day at Mapetla High School has brought the community together with people from different cultural backgrounds coming together to share and showcase their cultural dances. The event was interesting and well attended with representatives from the Department of Education (District 14) who came to witness cultural exchanges by different groups from the community. The event marked a conducive opportunity for learners who gathered to watch and doing some catching up on their cultures as most of them seem to know nothing about their cultures. Do you think it is invaluable to teach learners about their cultures at school? 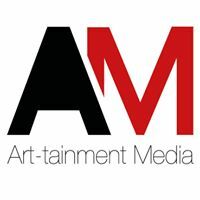 Write to us on admin@art-tainment.co.za or visit our page on facebook to like and comment on our articles.